Seems like nowadays we have to have them. They are useful, when the work correctly. But many things can go wrong. Sometimes, if you put in that you want to go to Appleton, you have to make sure you specify the one in Wisconsin. Following directions to Appleton, Illinois will not get you home any time soon! We are all on a journey, and we need to make sure we are on the correct path, and also in the right kind of vehicle if we are to arrive at our desired eternal destination. Before we are delivered from sin, we are all on the wrong road. It is a very wide and spacious road, and no one gets in your way. Most folks are on it, and who are we to say that they are wrong? Right? Well Jesus said otherwise. In Ephesians 2:8-9, Paul wrote that we are saved “by grace through faith” so I am making grace the vehicle, and faith the engine. For after we are saved, we must remain in grace in order to make it to our heavenly home. At no point in the journey are we ever without the need for grace. So now we have the vehicle, and discovered as well that it is ours as a gift! So how do we make it go? We must have faith to make any progress on our Christian journey. And faith we must have, without faith we cannot please God, nor receive the reward for those who diligently seek him. But how do we get this faith and make it strong? By taking in the Word of God! So we now know we need faith for an engine, and we know where to get it. Now we need some fuel. The fuel our faith engine runs on is love. I cannot emphasize enough the importance of love. Without it, your entire journey is for nothing. Nothing else matters if you don’t mix it with love. We have our vehicle, the engine is in, the tank is fueled, and will continue to be refilled, with love. What kind of highway are we supposed to drive on? Back in Matthew 7 we saw that the road is narrow and few people will find it. Once we are on this narrow road, what kind of road is it? It is a road of patience. If we were to receive everything instantly, we would have little opportunity to build our character. It is in the waiting that we learn to trust God. Yes, our final salvation must be hoped for with patience. 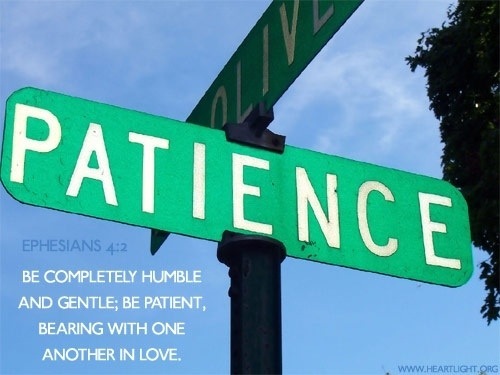 Paul commended the Thessalonians for their patience, faith and love. Now we are equipped for the journey. We have to remember that not of the things I have mentioned above are optional. They all are essential and there are no substitutes for them. Take away any of them, and the others are ineffective and/or nullified. If this is not a journey you have begun, or if you realize that you thought the journey had begun but find yourself on the broad road, come to Jesus and begin the journey on the narrow road. Get in the Glory Land Way!